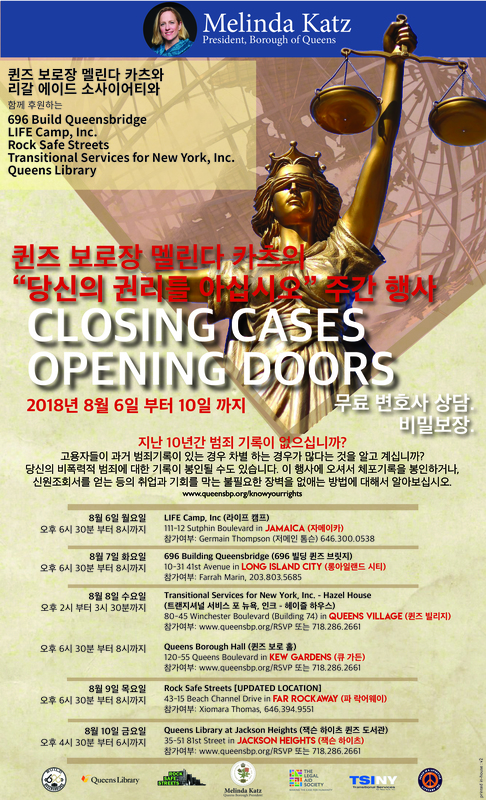 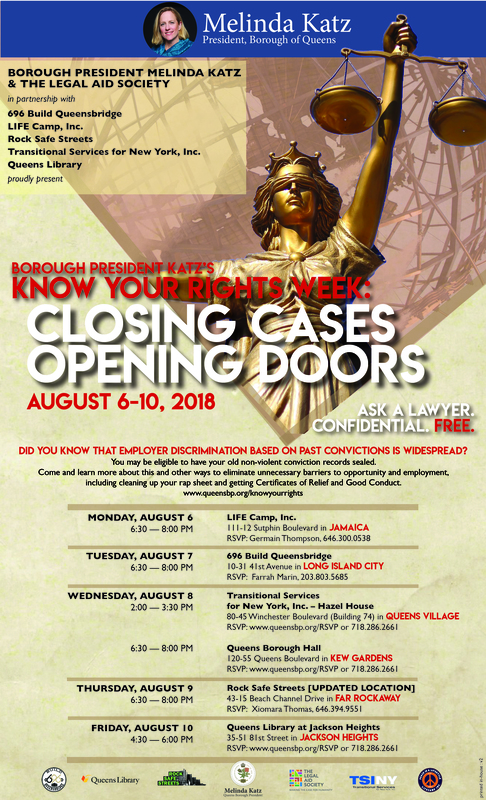 Borough President Melinda Katz and the Legal Aid Society present “Know Your Rights Week: Closing Cases, Opening Doors”, a weeklong series of public legal workshops between August 6-10, 2018 in various neighborhoods throughout Queens. 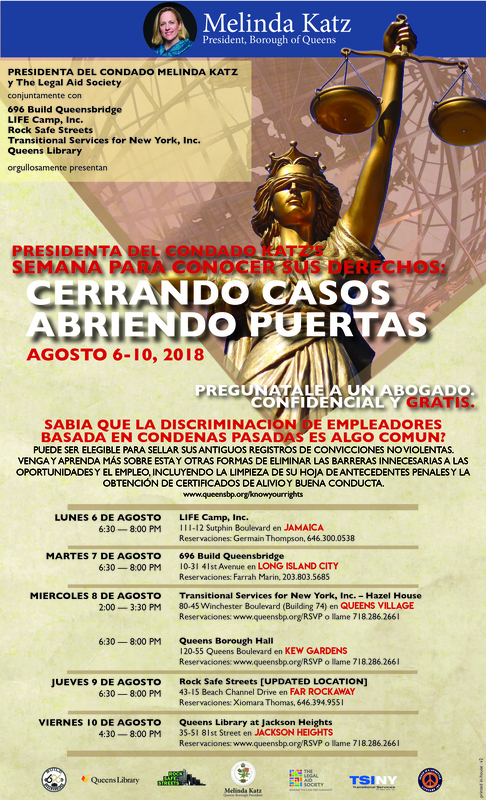 Participants can access FREE and CONFIDENTIAL legal advice from lawyers on ways to alleviate unnecessary barriers to employment and economic opportunity, including applications to seal their non-violent criminal conviction records, cleaning up rap sheets, and obtaining Certificates of Relief and Good Conduct. 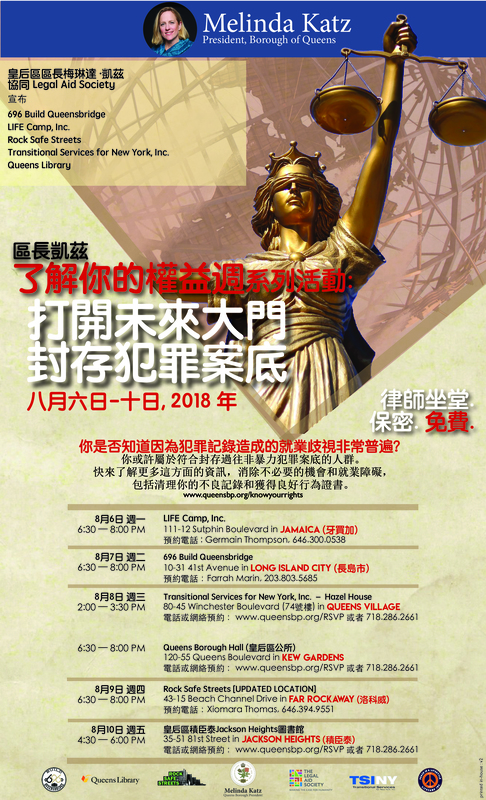 Reserve your spot today at www.queensbp.org/RSVP.